I hope that everyone is having a great week and enjoying the first few days of September!! I wanted to let you all know about some upcoming events that I will be taking part in. 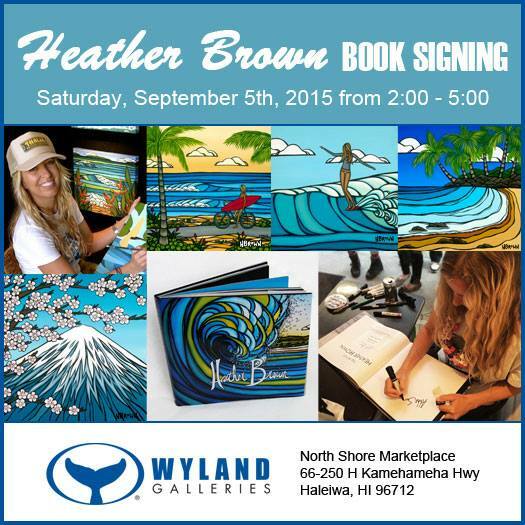 First, this Saturday September 5, 2015 I will be having a book and art signing event at The Wyland Gallery in The North Shore Marketplace in historic Haleiwa Town on Oahu's beautiful North Shore from 2-5 pm!